If location is a non-negotiable, then here's a generous Avenues entry level home you can live in! With a sensible flow, great volume, big bedrooms, walk in wardrobe, two bathrooms, big open plan living, garaging and a huge level 522m2 lawn only Kelmarna Ave can deliver, #62 is a smart solution for young professional couples and families looking for size and serious value for money in a blue-chip location. There is plenty of scope to add value now or later. Over time, take advantage of the huge lawn, drop in a pool or gain another room or two as the family needs change. But for right now, consume all the heady Herne Bay/Ponsonby lifestyle you can, knowing you have land and location locked in. Beautiful beaches, cafes, restaurants and boutiques are just a quick walk away. 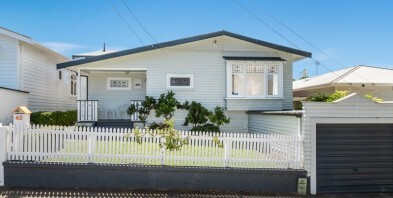 Great access to Wynyard Quarter and the bottom of town and the comfort of exceptional schooling if required. Our vendors have left town. Don't miss this - if staying local is your number one priority, 62 Kelmarna is an absolute must view.